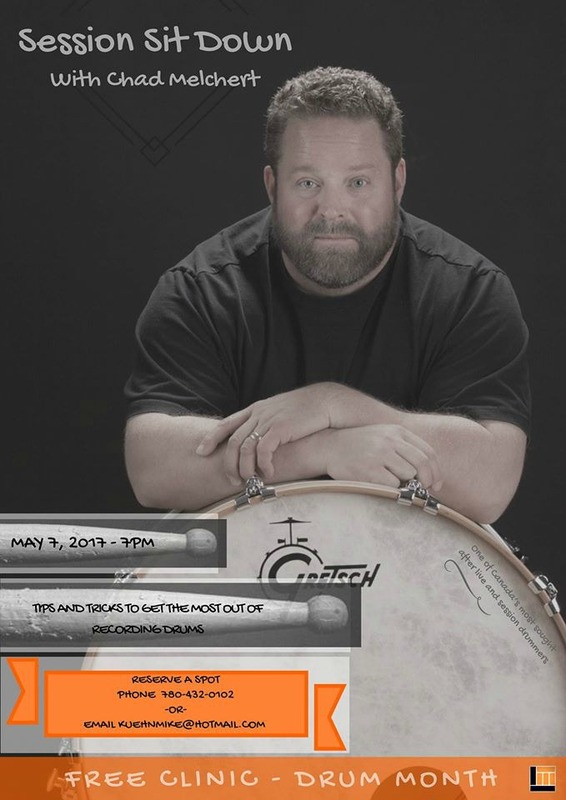 Chad Melchert (Gord Bamford, CCMA Drummer Of The Year 2016) will be doing a clinic at Edmonton Long & McQuade South on May 7th, at 7:00 p.m. It is Drum Month in May, and Chad will be discussing all things related to drumming including tips on how to get the most out of recording drums. Chad uses a 1.5 Steel--6.5 x 14 & 4 x 15 as his mains on the road, and in the studio.